Reading the Jefferson Bass books in order means only one thing: reading the author duo’s Body Farm forensic thriller series. On this page, I have listed all the Jefferson Bass books in order for the Body Farm series and the non-fiction works around the body farm facility. The books are listed in publication order, with the reading order in brackets. Currently, there are 10 main Body Farm novels and 2 novellas. The latest book is titled Without Mercy. If you want to read the Jefferson Bass books in the right chronological order, as opposed to the publication order, you should start with Jordan Stormy Banks, the short novella that comes before Cut To The Bone, as both take place in the early 1990s in Tennessee, before the happenings in Carved in Bone. Jefferson Bass (website) is a writing team consisting of dr. Bill Bass, a forensic anthropologist who founded the Body Farm anthropology research facility, and Jon Jefferson, a writer, journalist and TV documentary filmmaker. The duo has written so far 8 crime fiction novels in the Body Farm series, along with 2 non-fiction books about dr. Bass and his several forensic cases. Doctor Bill Brockton, a renowned anthropologist who dedicated his life studying the dead at the Body Farm, was first introduced in Carved in Bone. The book was written in 2006 and it first started the main character’s work with the police in solving often heinous crimes. After publishing Death’s Acre, the author duo’s first book, which is also a non-fiction story, the authors have written and gotten published several extremely popular series which would be called under the title The Body Farm. The series made both authors popular not only within their own fields but also within the crime, mystery and thriller genres of books. The authors, until 2016, have published so far almost one book a year, and each book has been applauded by both readers and critics alike. The books have a very realistic feel to them and they helped greatly average readers get more familiar with the unique field of forensic anthropology over the years. Some people actually voiced their opinions that the forensic science depicted in the Body Farm series was more interesting than the stories themselves. Bill Bass (born William Marvin Bass III) was born in 1928. He completed his undergraduate studies at the University of Virginia after which he received his master’s degree at the University of Kentucky. In 1961 he received his Ph.D. in anthropology at the University of Pennsylvania. He started his career as an archaeologist working at Native American grave sites. He taught at the University of Tennessee in Knoxville and he founded the University of Tennessee Anthropological Research Facility where he still works even though he is officially retired. Dr. Bass has written and co-authored over 200 scientific publications along with a memoir about his career called Death’s Acre. He is a teacher, awarded National Professor of the Year by the Council for Advancement and Support of Education. He is well known for his pioneering work on the study of human remains that could help police solve the cases. He is also the founder of The Body Farm, the famous place at the University of Tennessee which started the whole Body Farm book series. Even some of the CSI TV show episodes have based a few of their storylines on the research of Dr. Bass, who now is retired, but is still writing books with John Jefferson and is busy with public speaking during related events. Jon Jefferson is a well-known journalist whose works have been published in The New York Times, USA Today, Newsweek and Popular Science. He was also broadcast on National Public Radio. Related to the Body Farm he has written and produced two National Geographic documentaries. Born in 1955 in St. Joseph, Missouri, he spent most of his early ears in Guntersville, Alabama. He majored in Birmingham-Southern College in English, where he went after winning a scholarship. After graduation, he had several jobs, including staff science writer at Oak Ridge National Laboratory, teacher, and administrator at Planned Parenthood of East Tennessee, a journalist, and TV documentary writer and producer. His filming the two-part documentary on National Geographic led him to meet dr. Bass, which started their collaboration together, with the first book Death’s Acre. 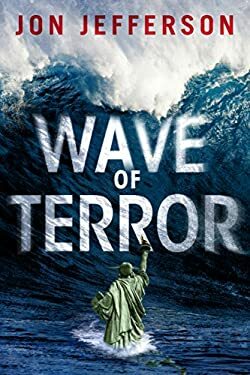 In 2018, Jon Jefferson published his first standalone thriller, Wave of Terror, which combines natural catastrophe with terrorism. A save-the-planet type of book that could be easily turned into a blockbuster movie. Astronomer Megan O’Malley goes to La Palma in the Canary Islands which houses the large observatory, in order to use it for the next three days. Her dream is to find that elusive Planet 9, and she is hoping that the high-tech observatory will aid her in her discovery. However, due to some several minor earthquakes on the location, she can’t focus enough to see anything through the telescope. Once she gets back home, she is surprised to notice those small earthquakes were not recorded at La Palma at all. What was really going on around La Palma? Was it really something natural or maybe a terrorist plot that could change the whole world in a second? The doomsday scenario is so unraveling that it can easily put the horrendous 9/11 to shame if it can’t be stopped. I have been married to my husband for 22 years. In that time I have never seen him pick up a book to read, until now. He loves your books. We have bought three so far and when I save up enough money I will buy him more. My mother was a 911 operator for 32 years in Jefferson County, TN. These books go beyond all the stories that see told me while see was alive. Thank you for your dedication.